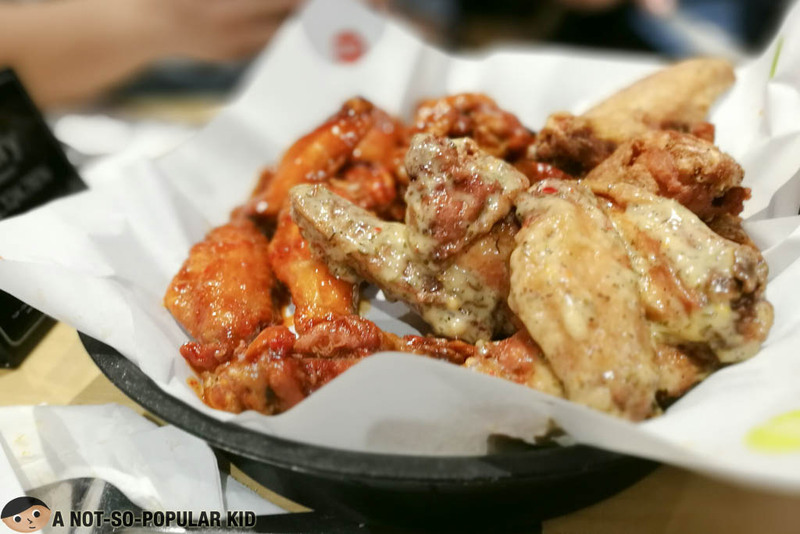 Buffalo Wings has always been a classic favorite among foodies, and it's not that surprising because there is usually a wide range of flavors you can choose from. 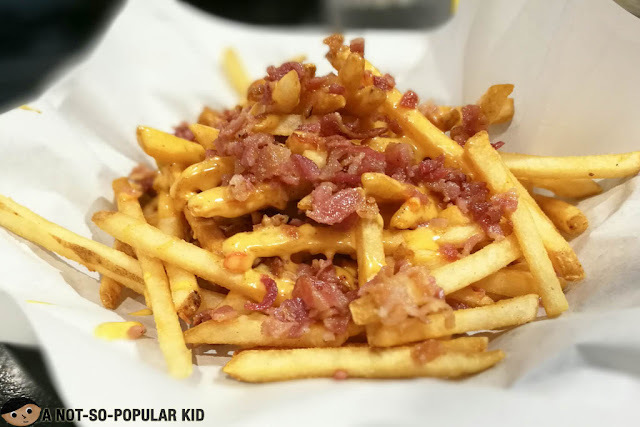 You may depend it on your palate type, mood or plain cravings. 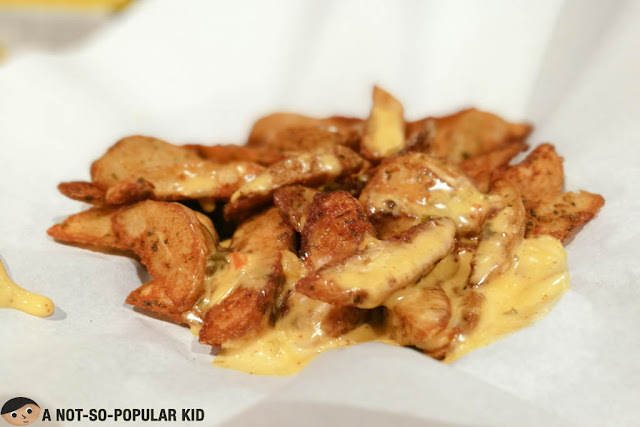 Also, with the rise of more exotic and bolder flavors of buffalo wings (usually extremely hot ones), foodies were challenged to test the versatility of their palate. 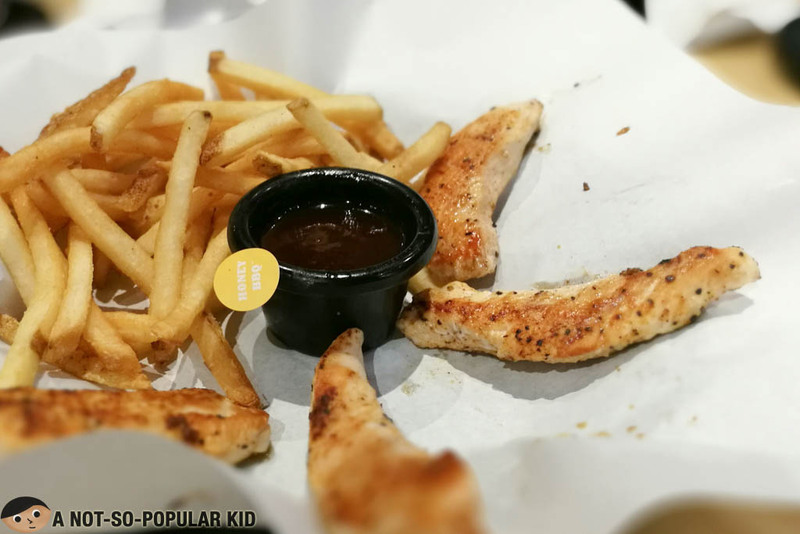 Well, to tell you the truth, I am not really a fan of Buffalo Wings, but that was before we tried dining in Buffalo Wings 'N Things (read more). I guess I'll qualify as a late bloomer, but anyway, ever since that craving in me was activated, I started having a sense of adventure in discovering places with great buffalo wings. This is how we ended up trying Buffalo Wild Wings here in Glorietta. 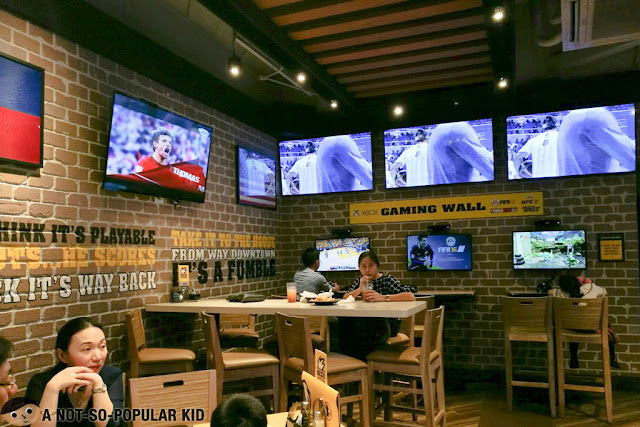 The interior of Buffalo Wild Wings is certainly conducive for barkada hang outs. The room temperature is cool and the seats are generally comfortable. Also, the interior is filled up with several televisions for you to watch your favorites sports game. Honestly, I've never seen so many TVs inside a restaurant before! By the way, there's a gaming wall here in Buffalo Wild Wings where you can burn time as you wait for the orders to come. There are 3 Xbox consoles available, and it's on a first come first served basis. 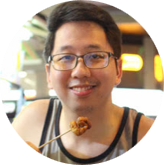 Alright, so let's now proceed with the food we tried during our visit! 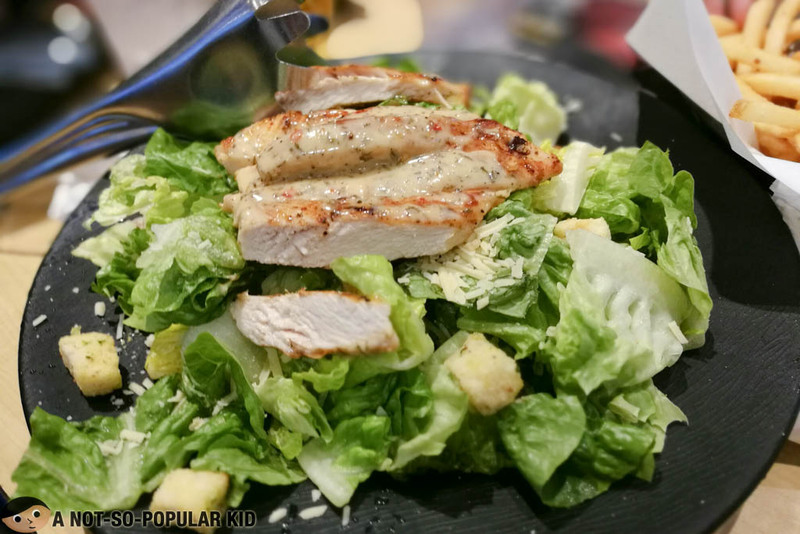 Although very much heavy on the pocket, the salad was fresh and crisp with the chicken being tender and juicy as the menu says. However, I really think that the price somehow kills it. I guess I have the same issue with this one. The sticks were really awesome in terms of the taste and quality, but I found the price a little heavy considering the lack of thrill in terms of the presentation. Need I say more about this? I am ringing the "not worthy" bell. Now, this one is somehow more reasonably priced than the others, but I find no "love" with its appearance. Maybe they can perk this up a bit? The tenders were really a lackluster among the group. We found it bland, and it's very lonely to look at. 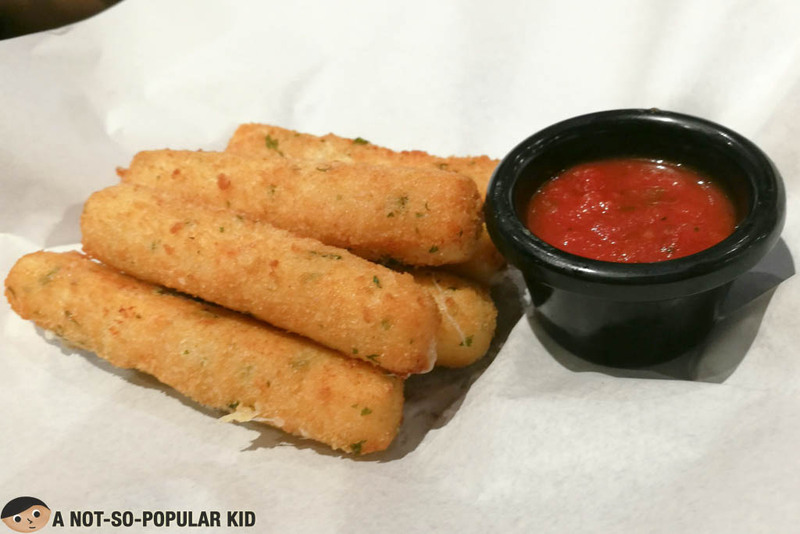 This dish really needs a makeover. Hands down for this burger in terms of the quality taste. 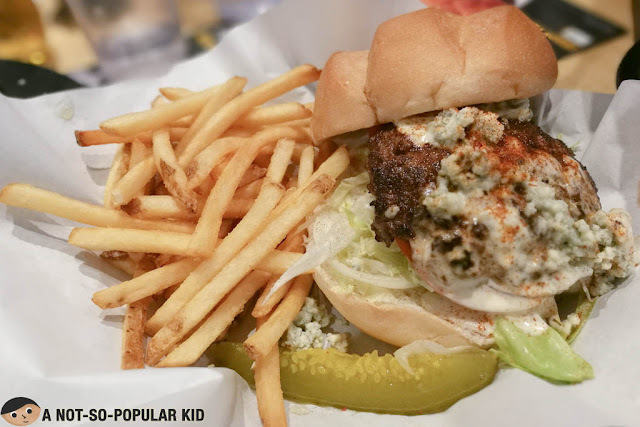 The bleu cheese went really well with the flavors of the patty. The only thing that will make you back out a bit is the price. The chicken wings were all presented in a neat manner, and I have to say that they were really pleasing to the eyes. I also loved the novelty of adding stickers to mark the flavors of the chicken. It was completely adorable! However, it was somehow disappointing when everything did not materialize when we tried munching on them. The wings seemed dry, and the flavors didn't seep in much. Alright, so that's mostly about our dining experience here in Buffalo Wild Wings. You may check out the summary below for an easier read. 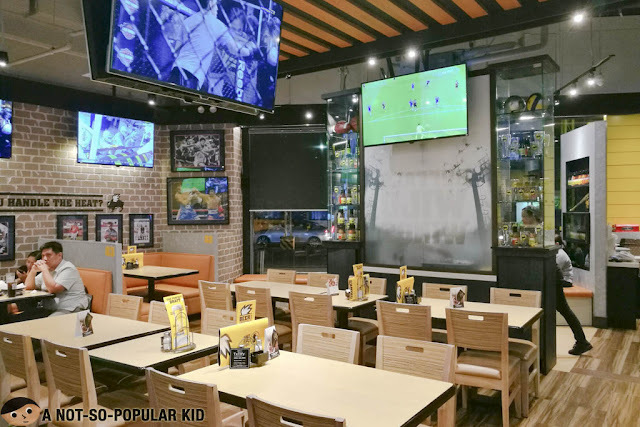 Buffalo Wild Wings certainly has a great comfortable ambiance. It's a perfect venue to just chill and hang out with friends, especially that they have an Xbox gaming corner. 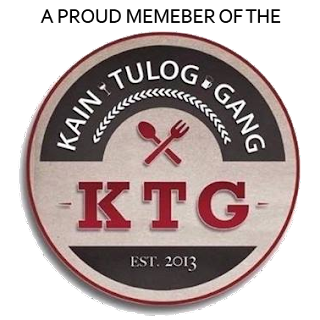 Plus, if your group is into sports, you will appreciate dining here. The quality of the dishes, on the other hand, ranged from "so-so" to "slightly above satisfactory". Pricing is also another issue I'm seeing. It was a good thing that the service was friendly and accommodating, since this somehow compensated for the lack of spark in the dishes. Honestly, I prefer Buffalo's Wings N Things over this, but I'm very much open hearing out from you. Any good places you can recommend?